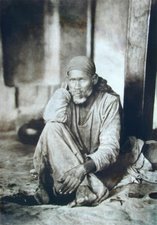 Since four days, i was drawn to read Sai SatCharitra. 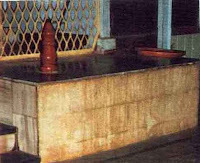 The reading of the book was complete in two days and again after offering prasad to Sai Baba, and taking dinner the reading started again. These time it was different kind of reading than what i used to do. 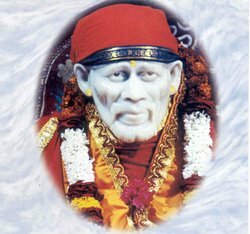 Before while reading i used to ponder on whatever Sai Baba has said, think on it, trying to understand and learn from it. Sometimes it took me half and hour to complete a single paragraph reading in this manner. This time reading Sai Satcharitra was totally different. The reading was fast, something like speed reading. And the awareness, the attention was on the grace that flows through the sacred and blessed book. The grace, or vibrations or blessings or love what ever one might say in word, was really powerful. The mind got the feeling of concentration simply by the energy flowing through it. Even as this post is written energy is felt concentrated on the third eye. Such great and peaceful feeling. Once the thought even came to the mind that this is not the way the sacred book Sai SatCharitra was read. This time nothing was being thought upon. And the answer came intellectual understanding is nothing. Many a times a man intellectually understands something but fails in action for the same. What is important is the grace that brings concentration in mind, brings calmness in mind. All these days the mind was just drawn on reading, and would deny keeping attention on anything that brings disturbance to the mind. 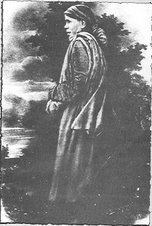 If things happened which could bring much disturbance to the mind in normal circumstances, they could not find place in the mind. The grace collected and concentrated in mind is to strong to allow them to stay there. Such is the power of Grace. 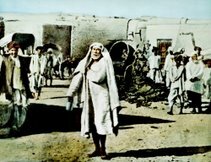 Such is the power of Love of Sai Baba. 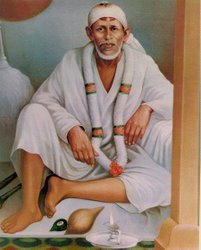 All the time the attention is on the grace and love and blessings that flows through the Sacred book Sai SatCharitra, and one is drawn by that love that great feeling. Even after writing this post i'll be back with that love and grace, with the book in my hand and eyes moving around on the words and sentences on the pages. And the mind enjoying the grace and calmness and concentration it Gets. 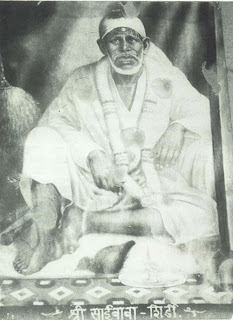 Even while looking at the picture of Sai Baba, the picture seems to be so happy and showering Grace and Love, unlimited. 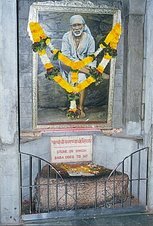 SatChitAnand SadGuru SaiNath Maharaj Ki Jai. 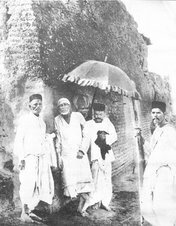 really beautiful work by u ....sai baba is surely wonderful and does beautiful miracles in peoples lives......peace be to all.....OM SAI RAM!! thanks for the audio Sai SatCharitra in english now i could bring along anywhere i go. You bring him closer to my life. Thanks for all your hard work. 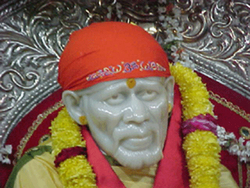 Baba changed my life. It is absolutely true that great Saints have lived to guide us and solve the troubles of anyone and lead to salvation. They are truth themselves, wisdom, intellect, blessing, light, guide, success and miracles and what not. Their leelas lead us to solve all our problems. Blessed be the souls who took birth in this world for the welfare of the mankind and other living things. Sathya and Dharma reign them.